Haha, well several years after writing this post originally, I had to re-write it because basically nothing was true anymore. I wrote that almost none of my recipes have chicken (I literally grill chicken every night now), that knowing whether the chicken is cooked stresses me out (true, but I’ve discovered meat thermometers), and that I hate dealing with raw meat (still true, but I’ve had to man up). I’ve updated a few of the recipe details as well. BUT, what is still true about this delish chicken recipe is that it’s super fast, easy, and healthy. And that still makes it a winner (winner, chicken dinner) in my book. This recipe is so easy and not remotely stressful, even on a harried weeknight. It even got a super thumbs up from a guy friend, so don’t worry about the brown sugar making it too “frou frou”. I served this with a delicious cauliflower leek risotto and some sauteed kale and they went great together. We were super stuffed afterward. Note, I’ve recently updated the photos and the recipe itself to improve the overall output. Risotto is one of my favorite authentic Italian dishes, and my absolute favorite to make myself when I have the time. You can’t rush risotto. It’s my “stress-relief” dish—pour a glass (or two) of wine, and stir and stir. The process of it is soothing. One of the first recipes I pinned on Pinterest was for this cauliflower risotto with leeks. It’s a healthier version, since you get the additional vitamins, fiber, etc. from the cauliflower plus you use less rice, which is a simpler carb. I’ll admit I was skeptical about the cauliflower. 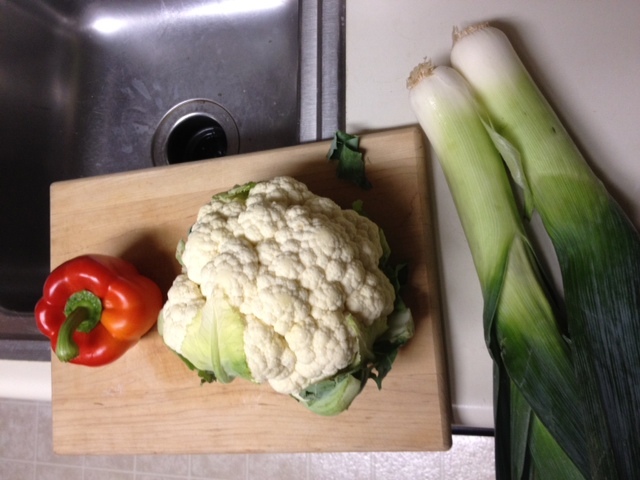 I’ve never made anything with cauliflower (I didn’t even know how to chop it! 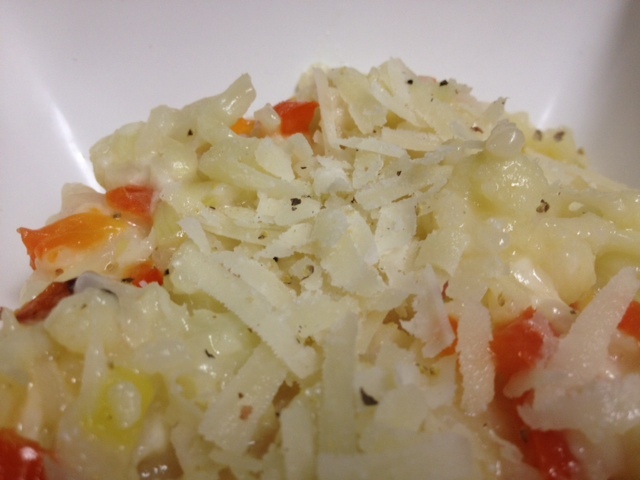 ), and I was worried you’d lose the smooth awesomeness of risotto by adding the cauliflower in. I remained skeptical throughout the entire cooking process, but I was more than pleasantly surprised by the result. It was so delicious! Look at all this healthiness you’re about to put inside you. Like much of the country, Hotlanta has been living up to its name lately, with temperatures soaring over 100 every day and like 90%+ humidity. You feel like you’re being broiled every time you walk outside (get in the car, wake up and get out of bed, etc.). The humidity is really what kills you, it steals your breath and your will to do anything. Suffice to say, I have been trying to turn on the oven as little as possible, since it makes my little 600-square-foot apartment feel like a hot yoga studio. But this is hard since I love roasting vegetables and baking delicious treats, and every weekend I try to treat myself to some dessert. So I was racking my brain this past weekend for something easy and cold, and then had the perfect idea. 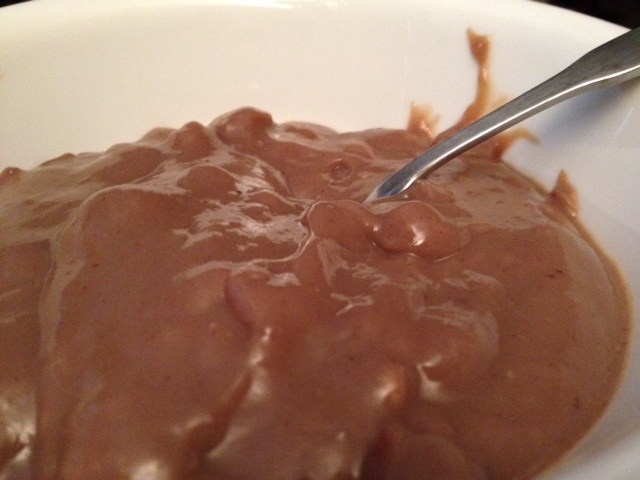 Chocolate cornstarch pudding. I have no idea where the recipe originally came from, but it’s been a staple in my family since I can remember. Look at that awesome cold, creamy, sweet awesomeness. What’s especially awesome about this pudding is that 1) it’s super easy, 2) it doesn’t require many ingredients, and 3) it’s not too sweet or bad for you.